Our focus at Daxon Dentistry is on the total health and well-being of each patient. This means looking good and feeling great from the inside out. Cosmetic Dentistry is more than just having a pretty smile. It’s about having beautiful, healthy teeth that last.  St. Petersburg dentist Kimberley Daxon takes a comprehensive approach to cosmetic dentistry, working to restore both function and esthetics to a patient’s smile. Patients often come to us with chronic and complex dental problems that have worsened over time. People come to us because they are in pain or embarrassed by missing, worn or broken teeth. Dr. Daxon is dedicated to making your experience as comfortable as possible. You can expect one-on-one time with your dentist to discuss your goals and concerns. She will perform a comprehensive evaluation to determine the underlying cause for cosmetic concerns and ensure long-lasting, natural looking results. With cosmetic dentistry, getting the look you’ve always wanted is easier than ever. We offer a range of services to enhance your smile, from teeth whitening to porcelain veneers or cosmetic dental implants. Dr. Kim Daxon carefully listens to your goals and evaluates your needs to design a custom treatment plan that will give you something to smile about for years to come. Words can’t describe the results we can help you achieve. Visit our Smile Gallery to see our before and after solutions. Then, schedule your appointment with Dr. Daxon and start smiling!